I'm not sure the narrative of this "book" is clear cut. 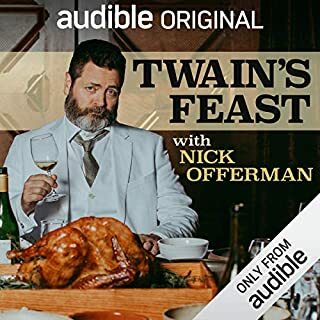 It starts as a story about food and Twain's travel's, but then twisted into a weird think piece about if Twain was a racist and his treatment of Native Americans. Then turns into throwing pity at an old sad man who wrote black mail letters and spent the end of his life surrounded by little girls. Am I supposed to like Mark Twain after hearing this? Am I meant to think he's somewhat of a monster whose lifestyle and fame wouldn't be accepted if he was alive today? I'm not sure what this wanted to be, but having Nick Offerman as a narrator was the biggest saving grace possible. if you're a fan of the music you'll certainly enjoy this book. 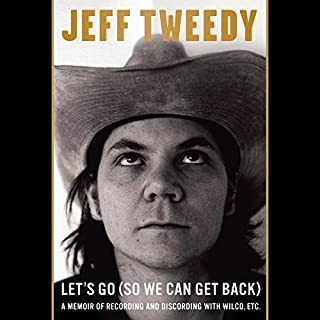 Jeff writes about his life with the same passion he does his music. It's crafted to tell enough of his story without giving away every little detail, which is both a pro and con. There's a fun bit about his brother watching him order records 12 for a penny and being horrified at his choices. It was hilarious and sweet, and I wish there could've been more stories like that. Being from the midwest myself I completely understand that not every story is something special or memorable. With that one very small gripe out of the way I very much enjoy this book. Having Mr. Tweedy read it puts the icing on the cake and hearing his wife and son was a fun added bonus. I very much look forward to anything else he writes. Whether it be nonfiction or not. It feels like an extremely well written episode of Twilight Zone. 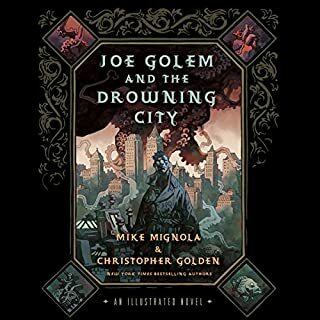 I would have loved to explored the characters past a little more, but it's definitely worth the listen. In like a lion, out like a lamb. I was excited to follow all the twist and turns that Area X had to offer, but instead I got a convoluted plot and annoying characters. There are moments when I feel the narrators could have ripped a handful of pages out of the books and it would have made the same amount of sense that was intended. Book 3 is the worst by far, switching back and forth between characters you've grown to love and characters that don't fit into the story. Xu Sands is the weakest of the narrators, making it hard to care about any characters she's portraying. I was let down by the ending which felt like a bad episode of Lost. 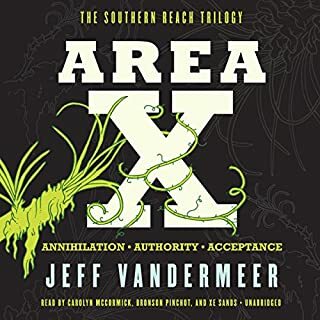 Jeff VanderMeer has the ability to write a classic, but this wasn't it.